What is SOUNDCHECK [her] story? 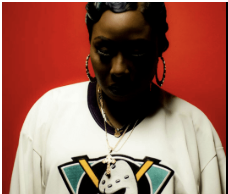 CURATED VIBES GROUP IN COLLABORATION WITH A'MIOR NY+ TANZ CARTER, PRESENT: SOUNDCHECK [her]story an INTIMATE MUSIC SHOWCASE FEATURING SOME OF OUR FAVORITE WOMEN UNDERGROUND ARTISTS. Who is the Host & DJ? 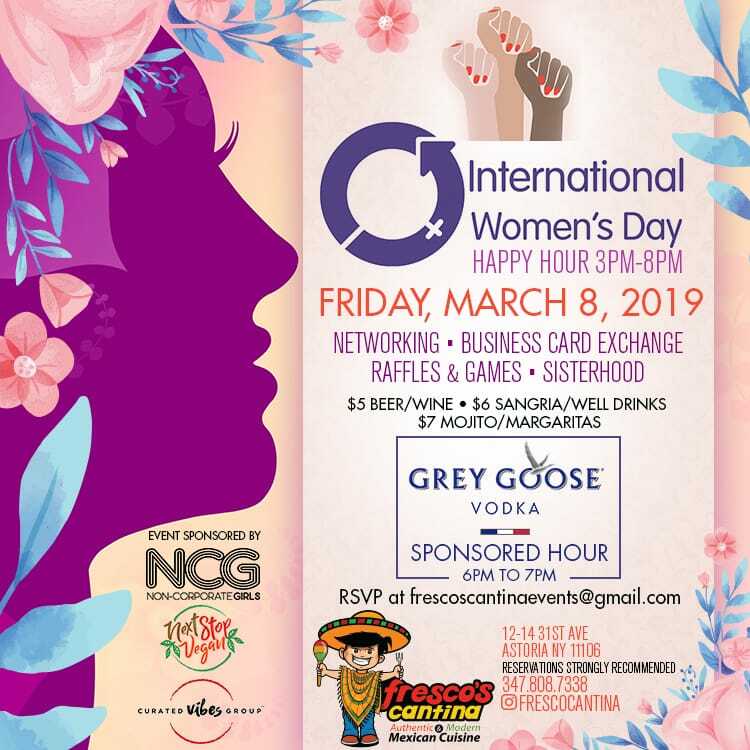 join us for the INTERNATIONAL WOMEN'S DAY HAPPY HOUR at Fresco's Cantina featuring a ONE HOUR, Grey Goose Sponsored Happy Hour in collaboration with Curated Vibes Group and Non-Corporate Girls. MIMOSAS + CURATED FOOD + DESSERTS + GRILLING + MORE MIMOSAS + OTHER DRINKS, TOO + NETWORKING + INSECURE FINALE WATCH PARTY + CUSTOM T SHIRTS + MORE. With A Brunch Buffet curated by Chef Cisero and Brunch Drink Packages from Prequel be prepared to enjoy Experimental dishes. Exclusive first tastes. Exciting every time. ...But why not? I mean, we have some bomb food and amazing collaborators at a beautiful Bedstuy apartment with a terrace. Come through, leave the typical brunch pretentious attitude at the door and just chill and vibe with us. And yes, that means you can wear PJ's if you want oh and you can cure your lungs with what you please; I mean, that's what the terrace is for anyway, right?